Leonardo Vinci’s Artaserse is in many ways it’s a classic opera seria. 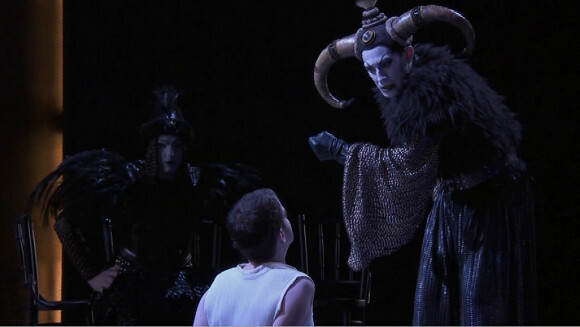 The good guy roles are written for castrati but the baddies here too go to high voices; a castrato and a tenor. But what sets this apart is that it was written for Rome where it premiered in 1730. At that time women were not allowed on stage in the Papal States so the two female roles were played by castrati en travesti. In recreating it in 2012, l’opéra national de Lorraine chose to cast all five castrati roles with countertenors, producing a cast like nothing I’ve ever seen or heard.